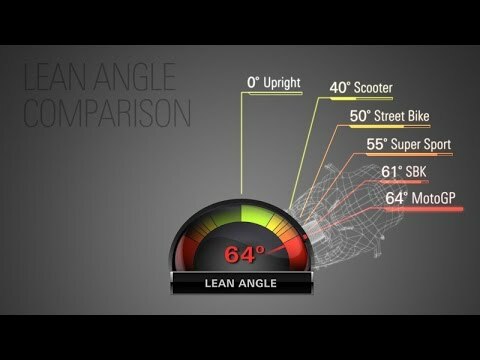 I was looking into logging device lean angle for a motorcycle and apparently racechrono reports on lean angle speed (degree/second). Would it be possible to report on absolute lean angle in degree instead? This would be much more useful for motorbike track analysis. That's on my TO-DO list. There is theoretical calculated lean angle in GPS channels, but I guess you're after real value. Yes and I've played around with the device lean angle, it seams pretty accurate. I want to fix the phone horizontally on the bike and leverage that if possible. Any ETA? Is it far down the list? My plan is to write my own algorithm for that, and not to use what the device is reporting. I'll start testing my own algorithms during when season begins, but I think it needs quite a bit of work. So the ETA is 'depends'... But it is high on the list. I understand. When you say own algorithm, do you mean getting the raw data from device gyroscope and analyse it yourself? Isn't that data outputted in a standard format? Gyroscopes output in degrees/second and you have to do a sensor merge with magnetometer. Devices do this themselves too but that algorithm is not meant for vehicle physics, so they will give false readings on certain situations. My microcontroller based GPS + logger I use Sebastian Madgwick's Gyro + accelerometer + magnetometer algorithm and returning pitch, yaw, roll in RC3$ values for logging in RC. I won't be testing until riding season starts as well. My accelerometer has a built in IMU system but I had issues utilizing it and found it was actually faster to get raw values and have the microcontroller do the calcs. @aol: why do devices not return the correct readings on vehicles? Wouldn't the algorithms all basically be the same? @J_D_W mainly because on motorcycles you cannot use gravity to compensate gyro drift, as gravity always points down. This is not saying that I would be expert on the matter, so I'll be happy to research any papers / algorithms / etc you have for me. I'll be looking at the one you named for sure! @aol I see what you mean. Had not thought about that. But would it not be similar to quadcopters though as they 'lean' in corners. @J_D_W, I haven't looked at Sebastian M.'s algorithm yet, but the one that I tried first was from quadcopters and it indeed used an accelerometer to compensate gyro drift. But then again it didn't have magnetometer, so there was no other choice. Any further News on this topic?